Style: Zipper boots. Ankle top. Plain toe. Heel height: 1 1/8". Shaft height: 5 1/4". Heel height measurement taken using the outer back visible sole. This is not the elevation but contributes to part of the height increase. Styles with a lower heel height will be more discrete. How is shaft measured? We measure the shaft height from the bottom of the footwear to the top of the collar or highest point. So, a low top will have a lower shaft height. Material: Genuine high quality leather upper. 100% ultra soft leather sole. 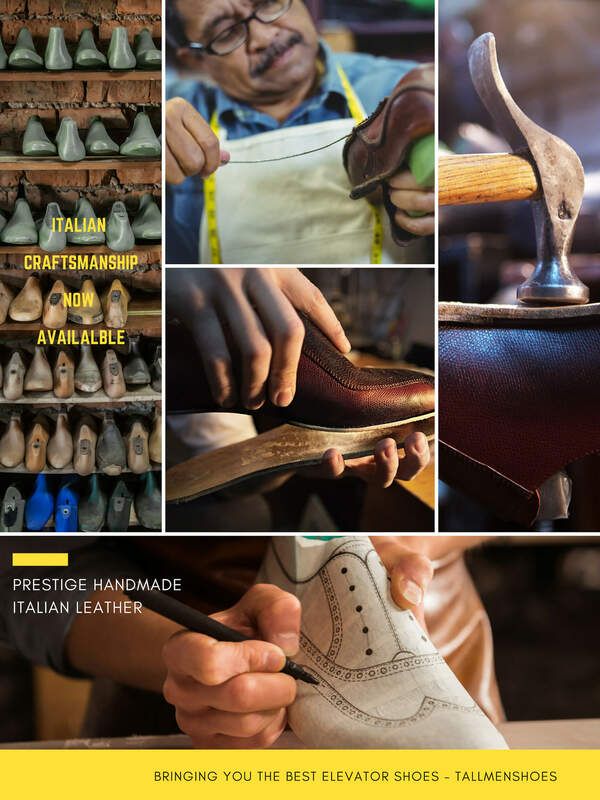 Using only the finest raw materials selected by expert shoemakers. Get the height that you want with utmost comfort. So light on feet, you won't want to take it off.